We supply 100W Aluminum Alloy yellow Color Bracket Mount ATEX Explosion Proof Flood Light with 5 years warranty on all the components. we devoted ourselves to explosion proof lighting for many years, covering most of European, Middle East and American markets. we are expecting to become your long-term partner in china. This Explosion Proof Flood light is our latest model with simple appearance and robust structure. It is designed to provide reliable operation in the harsh environments. We have our own R & D team. They have over 10 years of experience in the lighting industry. 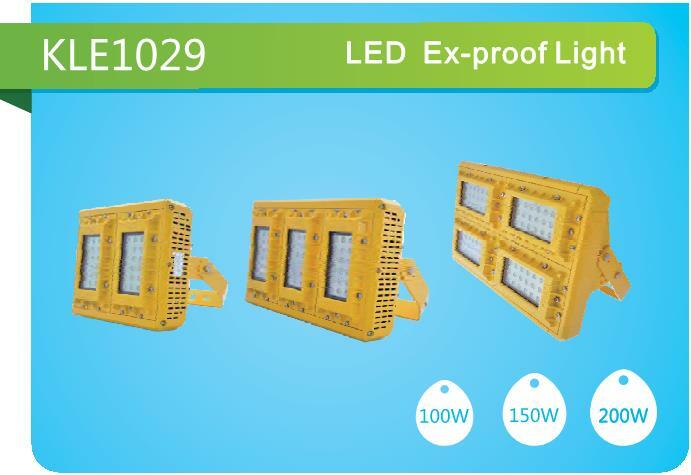 All of our LED Explosion Proof Lights are manufactured and developed and patented independently by Shenzhen Cary Technology Co., Ltd. Our 100W LED Explosion Proof Floodlight adopts high efficiency LED SMD chips. SMT technology keeps low working temperature of LED chips. The high quality aluminum alloy housing with excellent 3D heat dissipation structure design effectively reduces the interior temperature of the lamp body and ensures the service life of the light source and power supply. The transparent tempered glass lens are shock and vibration resistant. Compared with conventional lighting, it can offer longer life, enhanced energy efficiency, greater eco-friendliness, lower maintenance and better quality of light. This product is widely used in harsh and hazardous places, especially for environment with explosive gas and combustible dust. The rated power covers from 50 to 300W. Our 100W LED Explosion Proof Floodlight is suitable for areas with mounting heights of 2-30m.